Sometimes picking the narrator for our story isn't so cut and dry. Today we have special guest, Author Sarah Skilton, to explain how she chose the narrator for her novel, BRUISED. In BRUISED, my contemporary Young Adult novel, the narrator is 16-year-Imogen, a black belt in Tae Kwon Do who freezes up at an armed robbery and is left to wonder if martial arts failed her or she failed it. To tell this particular story, my narrator couldn't be anyone else. Imogen is defined -- and more importantly, defines herself -- by her all-encompassing love of martial arts. When I'm writing, I ask myself, "What's the worst thing that could happen to this particular person?" If you don't write about the worst thing that could happen, you may lose the chance to push your characters to their limits in terms of drama and storytelling. Who wants to read about an event that doesn't affect the narrator very much, or change him or her in some way? If it doesn't affect the lead character – really affect them – it won't affect the reader, either. Because Imogen's identity is so wrapped up in her martial arts abilities, her failure to use those abilities when it really matters destroys her in a way it wouldn't destroy someone else, someone who hasn't spent the last six years training four times a week and dreaming of opening her own martial arts school one day. I also chose a 16-year-old girl for my narrator because at that age the question of identity is especially important. The teenage years are the ones in which we try to figure out what kind of person we want to be. Coming-of-age / Young Adult novels tend to focus on defining moments, first moments, in a way that "adult" novels can't always do. It was important to me to write the story from the point of view of a young person who still has an idealized view of the world, of herself, and of her place in that world. How will she react when that idealized view is fundamentally challenged? I wanted to pose the question, "If you're not who you thought you were, then who are you?" Imogen as a narrator gave me the chance to do just that. Sarah Skilton lives in Southern California with her husband and son. 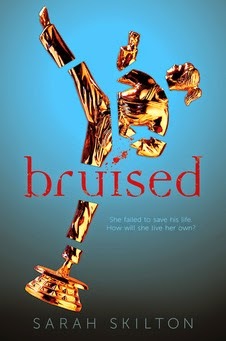 She has studied Tae Kwon Do and Hap Ki Do, both of which came in handy while writing her martial arts-themed debut YA novel, BRUISED, available now from Amulet Books along with her second book, HIGH AND DRY. 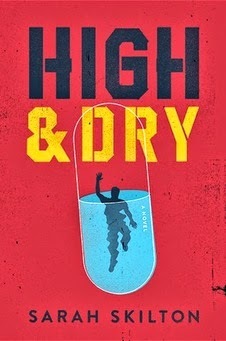 I've read both Bruised and High and Dry. Sarah is an amazing storyteller. Her books are fast-paced and wicked smart.